"Can be microwaved to heat or reheat the beverage, and they can also be used in the freezer." "Made from 18/8 stainless steel, this durable double-walled tumbler can take a beating and still deliver a hot drink." "Comes with a spill-resistant lid that will help keep the wine from sloshing out while it also keeps insects out when the party is in the backyard." "Has that rocks-glass shape while also providing excellent insulation so you can sip your Manhattan or your bourbon on the rocks on a warm night." "These 20-ounce insulated tumblers can be personalized with a single line of text or with a monogram." "The slider lets kids use the included silicone straw that’s bite resistant, yet tooth-friendly." "When you don’t want a handle, it’s simple to remove, then simply slide it back on again." "Will let you carry five of your 8-ounce portions of beverage, whether you choose iced tea, hot coffee, or even plain water." These 16-ounce clear tumblers will keep cold drinks cold while looking good at the same time. The shape is classic, with just enough embellishment to make them look a little bit special, and this is a 4-pack, so you’ve got enough glasses for the family. These are made in the USA by a company that’s been manufacturing here since 1946​ and can be used for hot drinks as well as cold. Unlike some insulated glasses, these can be washed in the dishwasher, so cleaning is easy when the party is over. 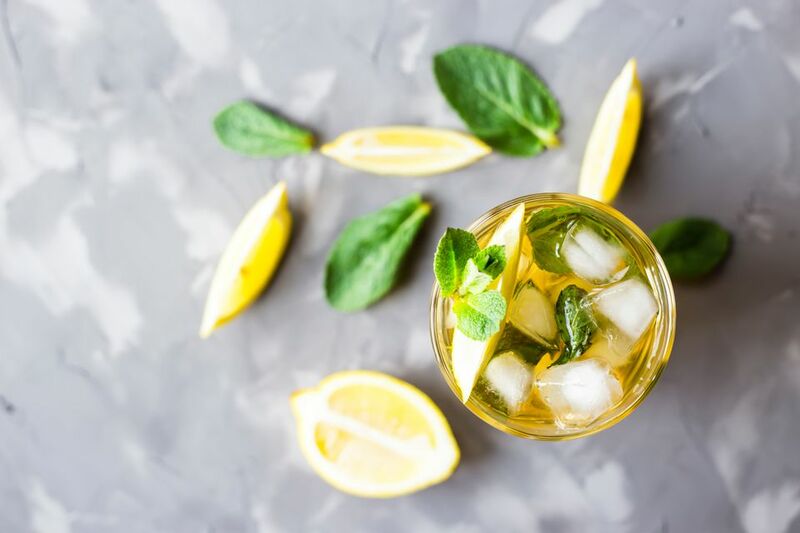 If hot drinks are on the menu, these can be microwaved to heat or reheat the beverage, and they can also be used in the freezer, so you can freeze portions of fruit for your punch in each glass, then take them out as needed and add punch and fizz to complete the drink. Take your coffee to go with this large 20-ounce lidded tumbler. The proprietary MagSlider uses magnets to lock down your drink, so it won’t accidentally spill. When you get home, you can just toss the tumbler in the dishwasher for fuss-free cleaning. The exterior DuraCoat color won’t discolor or degrade from washing and use, and it helps provide a secure gripping surface, so your coffee won’t slip from your hands while you juggle the car keys. If you’re buying for several family members, these come in a variety of colors, so Mom won’t grab Dad’s mocha by mistake. Made from 18/8 stainless steel, this durable double-walled tumbler can take a beating and still deliver a hot drink, and the shape is designed so it will fit in standard cup holders in your car. Not just for hot drinks, you can refill this with your afternoon iced tea, and it will keep the chill just as well as the heat. When it’s time for cocktails, ​sometimes a short, squat glass is most appropriate. This 12-ounce tumbler has that rocks-glass shape while also providing excellent insulation so you can sip your Manhattan or your bourbon on the rocks on a warm night, without worrying about the glass getting slick and sweaty. The palm trees and hammock on the glass add a festive note that makes them perfect for outdoor parties, or just for cozy nights at home while you imagine the beach in the distance. The fun design also makes them great for kids, sipping juice or soda while the adults choose larger tumblers for themselves. While the look is certainly cool, these glasses can also be used for hot drinks, and they’re dishwasher safe for easy cleaning. For even more versatility, these are safe for microwave use and for the freezer. Great for personalized party favors, his-and-hers tumblers, gifts for bridesmaids and groomsmen, or for company giveaways or employee perks, these 20-ounce insulated tumblers can be personalized with a single line of text or with a monogram. These have a unique twisted design that makes them look special, even before personalization, and that design also helps make gripping easy. They are triple-insulated, so they hold temperature well and won’t sweat or drip when filled with a cold drink. And added bonus is they fit in most standard cup holders, so you can take your drink on the go. These come in a wide variety of colors, so you can choose one that fits your party, your business, your house, or your mood. Don’t leave the kids out when the adults are using insulated tumblers. These are sized for kids and hold 8 1/2 ounces, so the little ones won’t have to handle a big cup, and drinks won’t be wasted by filling a large cup with more than they need. Just like many adult versions, this is made from durable 18/8 stainless steel that can handle being banged around in play, dropped from the deck, and buried in the sandbox. The lid is made from durable clear acrylic, so you can see what’s inside without removing the lid. The slider lets kids use the included silicone straw that’s bite resistant, yet tooth-friendly, or use your own favorite straws. Not just for kids, this would be great for adults who want to bring along a small beverage. This should be hand washed. Do you prefer mugs to glasses? Are steins better than goblets? No doubt you’ll appreciate this 30-ounce tumbler with its large handle. When you don’t want a handle, it’s simple to remove, then simply slide it back on again. For more versatility, this includes two different lids, so you can use the leakproof lid when you’re carrying a cold drink, then switch to the sliding lid for hot drinks. Also included is a stainless steel straw and a straw cleaning brush. Made from 18/8 steel and available with a variety of colors and designs, including wood grain and camouflage, this is designed to fit into most cup holders. This tumbler is certainly made for travel, whether you’re headed to work or on vacation. When you’re done with your travels, this should be washed by hand. Sometimes a mug of coffee isn’t enough. Sometimes a pint of ice tea just doesn’t last through drive time. This extra-large 40-ounce tumbler will let you carry five of your 8-ounce portions of beverage, whether you choose iced tea, hot coffee, or even plain water. When it’s time to hydrate, you can drink directly or use a straw through the sip hole. The double-walled vacuum insulation holds in the heat and cold and keeps the tumbler from sweating, and the tumbler is designed to fit into standard cup holders. The tumbler is made from durable 18/8 stainless steel with a glossy powder-coated finish that looks good, no matter which color you choose.